Just one block from downtown Milford, the ‘Missing Link’ portion of the Upper Charles offers a spot to enjoy the quiet. Perhaps it’s the same every year. But this year the leaves seem to be particularly ablaze. I’ve seen maple trees with just the tips of their branches touched with orange. Other maples appear engulfed in fire. We’ve finally gotten some much-needed rain, which didn’t stop us from venturing out on the trail. But since it was wet, a paved railtrail was a good choice this drizzly morning. 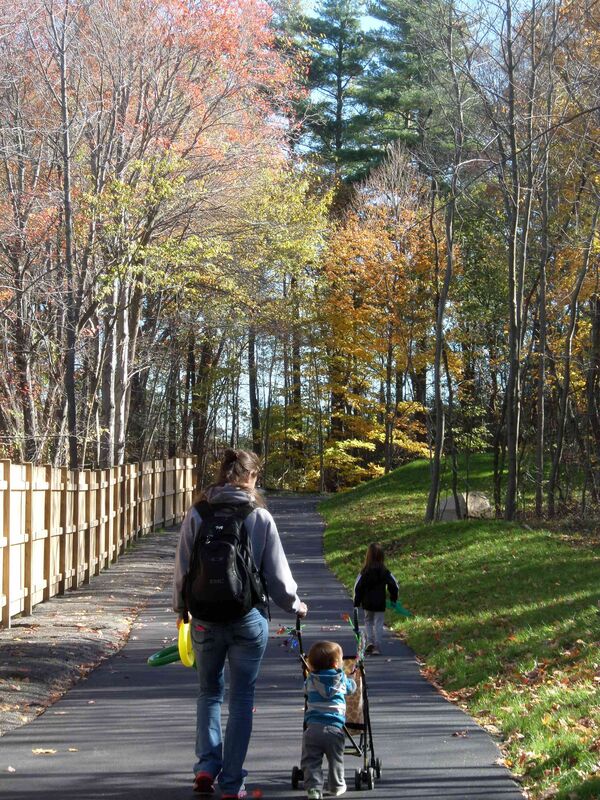 The Upper Charles Trail in Milford has a new “connecting link” that will ease travel between one section of the trail, near the Hopkinton town line, and the Holliston section of the trail. Called ‘the missing link’ this portion of the trail is now accessible and once signs are in place and the last steps of construction completed, it will be a great way to travel through downtown Milford, while avoiding street traffic (and the noise of the downtown). Just a block off Rt. 16, the ‘missing link’ is almost strangely quiet. With some lovely fall views along the way. 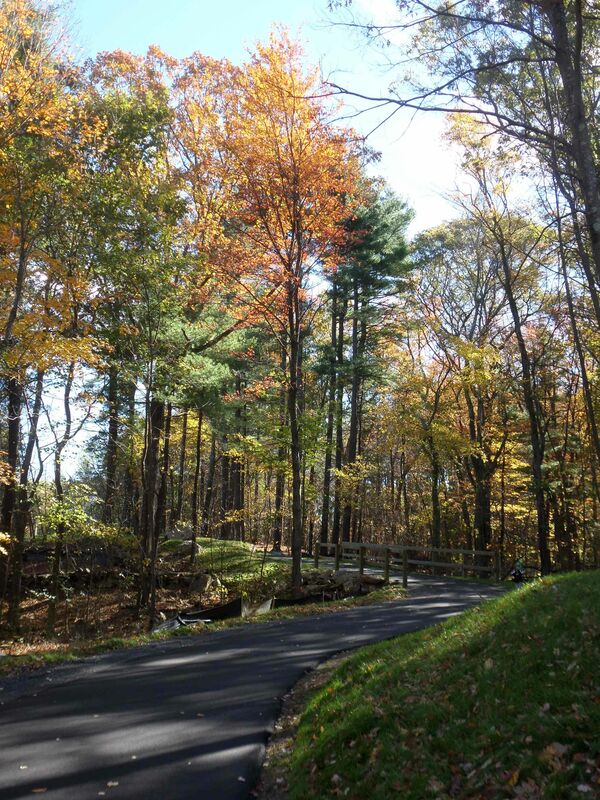 “Like” us on Facebook at “Easy Walks in Massachusetts” for updates about new trails and all things outdoors.